Navigating airports and other travel situations where disposable goods are the mainstay, being green on the go can often seem a challenge, but with this easy to implement guide you need worry no more! We’ve compiled a list of conscious carry-on travel essentials that ensure convenience, comfort and sustainability- throughout your trip. Truth Paste Credentials | Free from fluoride, SLS /SLES, triclosan, glycerin and palm oil, no foaming agents, bleaching agents, colourants, or artificial ingredients, 100% vegan and cruelty free. The Peppermint & Wintergreen truthpaste is a handmade natural toothpaste with Aloe Vera, Neem, Myrrh, and Certified Organic essential oils. 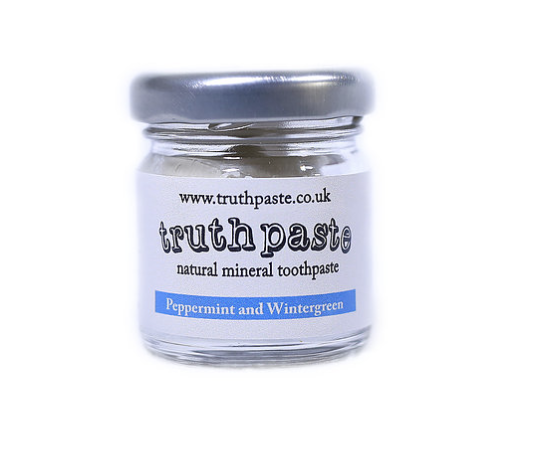 Truthpaste comes in reusable and recyclable glass jars to help reduce the use of plastic packaging. FLAT REUSABLE BOTTLE | VAPUR INC.
Not your average water bottle, The Anti-Bottle from Vapur Inc. is designed to roll, flatten, and fold in your carry-on. It’s sustainable and consciously produced, making it easy to stay hydrated during long flights without purchasing single-use water bottles. The California-based company also partners with like-minded organisations to provide anti-bottles to charitable groups around the world. Vapur refill stations continue to be installed on school campuses and in parks, making clean drinking water more readily available to everyone. This solar charger from PowerPlus features a 3W solar cell with a 2W output to effectively charge your mobile phone or other mobile USB devices using the sun. Simply face the panel towards the sun or attach it to a window using the suction cups provided, then connect your mobile device with its USB cable – you can even charge your powerbank at the same time! Unless you want to spend the first day of your vacation at a chiropractor, we recommend investing in a sustainable travel pillow for in-flight naps. The Bucky Compact Neck Pillow is not only environmentally friendly but thermo-sensitive and ideal for quality rest. The pillow also comes with a snap & go feature for convenient and easy access. Part spoon, part fork, part knife, part bottle opener, no feast is too much for this clever gadget. Once you’re done, the parts fold away safely in time for the next meal. Comes boxed. Keep your feet warm and cozy in-flight with the Wimborne Recycled Socks by Thought Clothing. 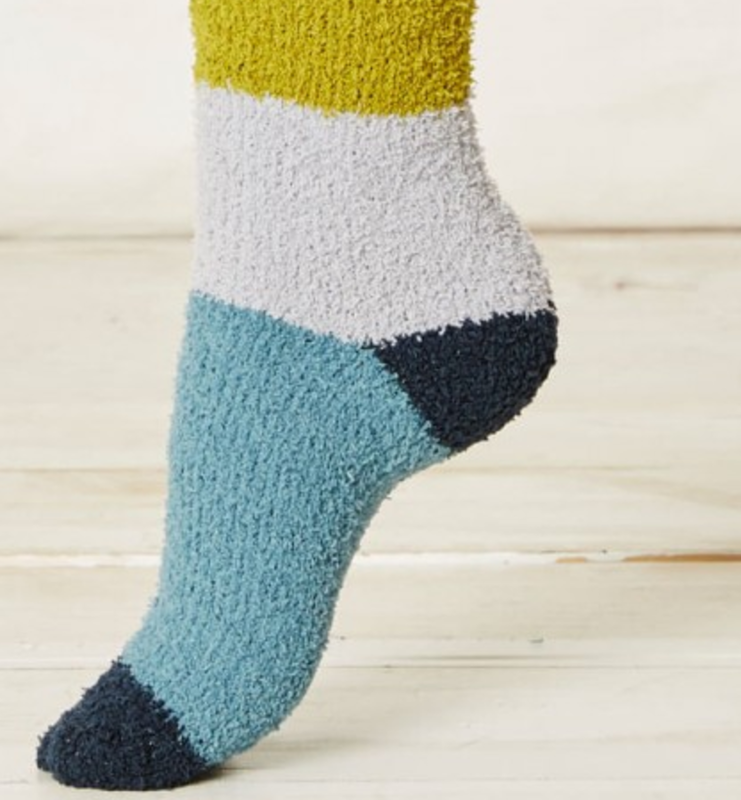 Made from recycled plastic bottles, these fluffy socks come in four different colors. Thought also practices slow shipping to reduce its environmental footprint, as well as commits to sustainable, ethical, and fair trade production models. Credentials | free from chlorine, alcohol, parabens, silicone, phenoxyrthanol, biodegradable. Eco-friendly flushable wipes from Naty. The extra thick wipes are made of harvested unbleached wood pulp and moistened with purified water, completely free from chlorine, alcohol, parabens, silicone and phenoxyrthanol while also being biodegradable. Don’t use travel-size shampoo and conditioner. These containers are single-use, and it is so much earth-friendlier to pack something you can use repeatedly. Go Toobs are silicone (easy to squeeze) bottles with large openings that make them easy to fill, empty and clean. It’s easy to tell your shampoo from your conditioner too – there’s a rotating ring on the collar which allows you to ‘highlight’ the nature of the contents. Holding 89ml per bottle, they’re small enough to pass security, and are made from food-safe, BPA-free material. Available in six different colours, these earth friendly headphones are manufactured in a way that leaves a very small carbon footprint. All the wood used for their construction is FSC certified, meaning it only comes from approved and sustainable sources. The cables are made from bio-plastic, making it degradable and the packaging 100% recyclable. What’s more, they’re more durable than the average headphone. Woodbuds work with The Woodland trust, so for every 100 products that they sell, a new tree is planted. Carbon offsetting: have we got the balance right? Alpaca: The ultimate sustainable knitwear fibre?